Pack your beach bags and don’t forget your reef-safe sunscreen...we’ve headed to Long Beach! 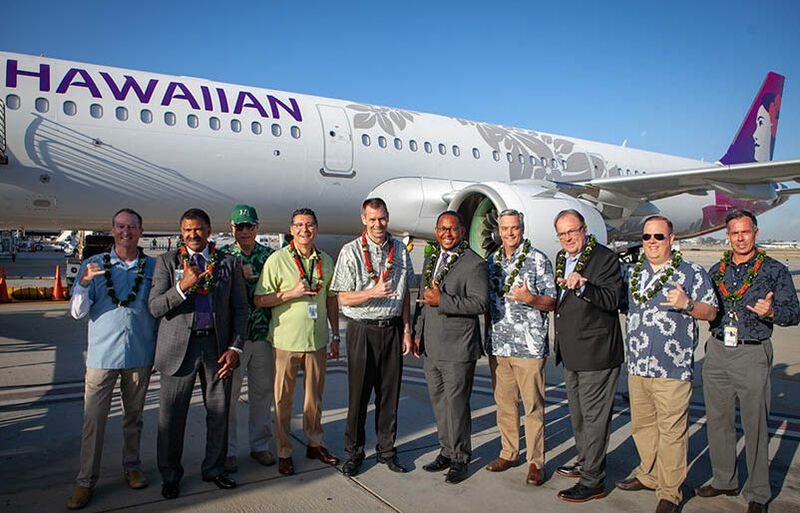 Hawaiian Airlines launched daily non-stop service between the Southern California city and Honolulu on June 1, making travel to Hawai‘i even more seamless for West Coasters. 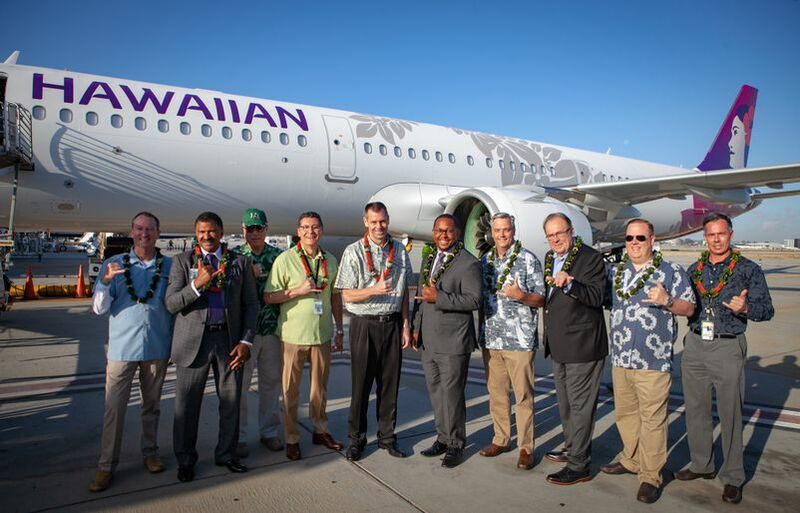 Guests will experience Hawaiian’s new fuel-efficient Airbus A321neo, the single-aisle, mid-range cousin of our Airbus A330 wide-body, long-haul aircraft. 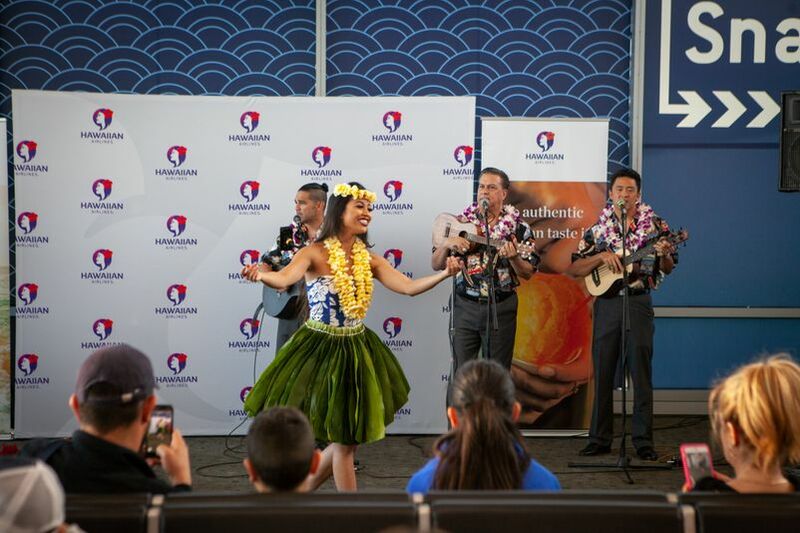 As part of the celebration, our ‘ohana kicked off service at Long Beach Airport (LGB) in true local fashion: a gate-side pa‘ina (meaning party or gathering) with refreshments, live music and hula, and a Hawaiian blessing. Prior to boarding, guests received an orchid lei and a goodie bag filled with gifts by OluKai, Raw Elements USA and Hawaiian Airlines. The surprise pa‘ina were held before each inaugural flight departure at LGB and the Daniel K. Inouye International Airport (HNL). Guests onboard flight HA70 to LGB departed HNL at 12:30 p.m. HST on May 31, while HA69 left LGB at 8:30 a.m. PST on June 1. LGB has long served as a major gateway to Southern California. The second largest city in Los Angeles County, Long Beach is also home to the country’s second-largest port. 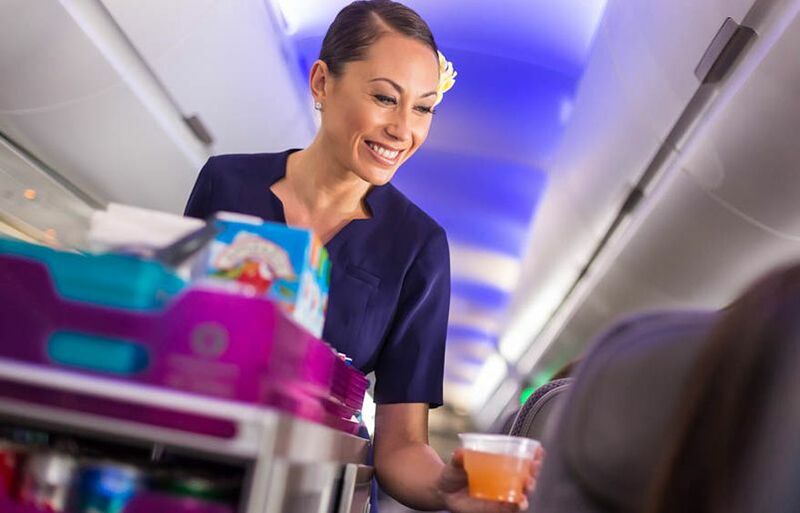 Hawaiian Airlines is one of five commercial carriers serving the airport, alongside our codeshare partner JetBlue Airways. Located about 22 miles southeast of Los Angeles International Airport, LGB sees nearly 3.8 million travelers annually. A 1984 poster promoting Hawaiian's launch of daily service between LAX and HNL. For more than three decades, we’ve remained dedicated to serving the western United States with aloha. It all started on June 12, 1985, with the launch of daily service between Honolulu and Los Angeles aboard the Lockheed L-1011, which connected Hawaii to the heart of California. 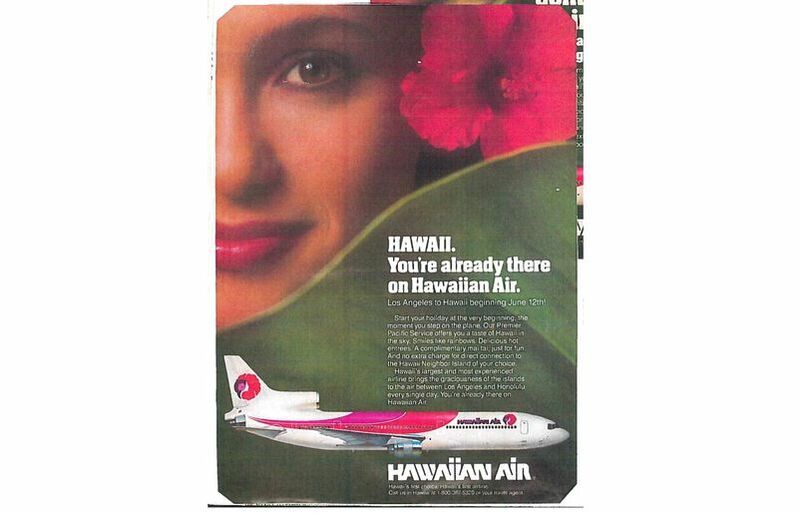 Demand for our brand of Hawaiian hospitality continued to grow, and Hawaiian Airlines quickly expanded to several more destinations along the West Coast, including Las Vegas later that year, followed by San Francisco, Seattle and Portland in 1986. Since then, we’ve added San Diego, Sacramento, Phoenix, San Jose, and Oakland. In 2017 alone, 3.6 million U.S. West Coast passengers chose Hawaiian Airlines as their carrier of choice to Hawai‘i. We look forward to welcoming millions of more guests as we grow our A321neo fleet to 18 aircraft by 2020 and announce new routes…stay tuned! Dreaming of a Hawaiian vacation but haven’t booked your trip yet? Take advantage of our exclusive Long Beach celebration fare sale, ongoing now through the month of June!